You are off to a great start by considering a used Toyota as your next vehicle. Choosing a Certified Toyota used vehicle is even smarter. Not only has this Certified Toyota gone through a 160 point quality assurance inspection it comes with a 7 year/100,000 mile limited powertrain warranty as well as 1 year of roadside assistance. Toyota Certified Used Vehicles are also eligible for special finance rates typically reserved for new vehicles. 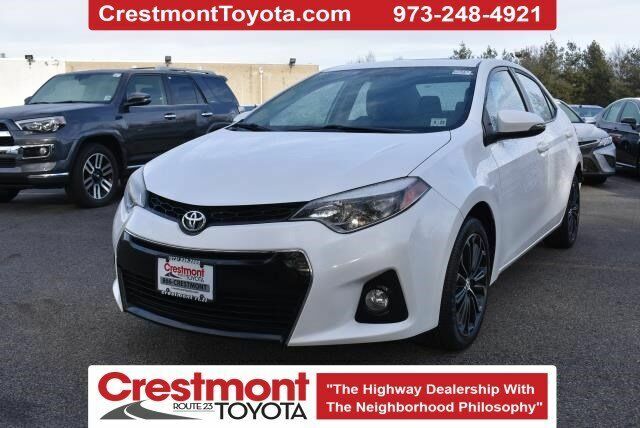 Reach a Crestmont Toyota representative at 973-248-4921 for more information.Price(s) include(s) all costs to be paid by a consumer, except for licensing costs, registration fees, taxes and dealer documentation fee of $396.50.